Considering I’m a dancer of 16 years (with an emphasis in ballet, might I add), you would think even the slightest bit of grace would wear off on me. But that couldn’t be any less accurate. It really is the strangest concept that someone can have so much technical control of their body but unwillingly run into absolutely every barrier in their path. Truthfully speaking, no one plans to get hurt. Injuries often occur when we aren’t paying attention, and I will be the first to admit that I can be a total klutz. From tripping up the stairs to stumbling over my own ankles, I fall culprit to bruises. Sometimes I don’t even remember how I got them—even the slightest bump can cause those pesky little close-to-the-surface blood vessels to break and burst into black-and-blue tones. In my younger years, this never bothered me, but as I’ve aged, I’ve found myself on the hunt for all-natural remedies—particularly, in this case, something to amp up the healing process. Below, we have the lowdown on five magical cures to lighten up those unwanted bruises in a timely manner. As a rich anti-inflammatory with swell-reducing properties, Arnica is a popular favorite for vanishing bruises. Aside from treating the injury, it also helps to relieve aches and pains, arthritis, and sprains. When it’s applied on a fresh bruise, swelling, pain, and discoloration reduce within a few hours. 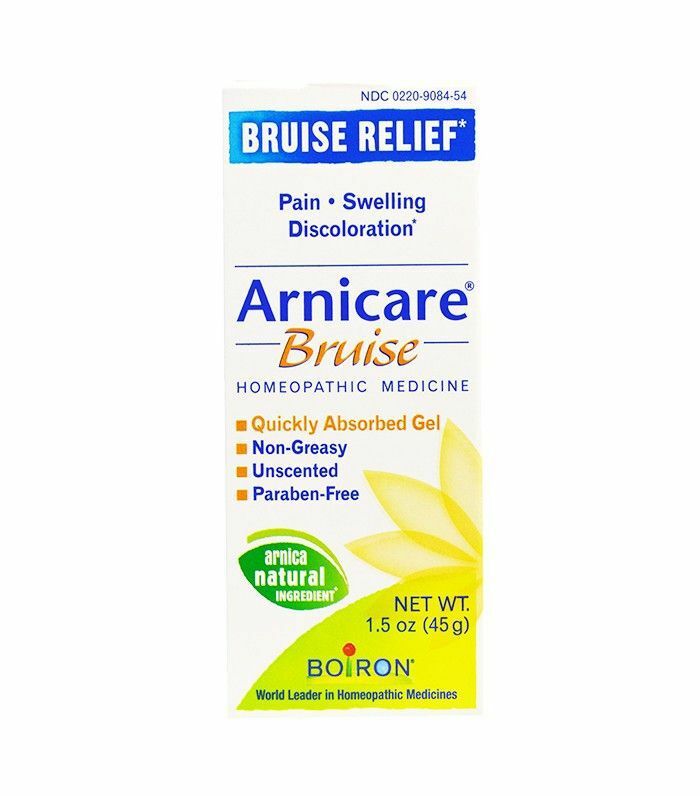 For best results, apply Arnicare Bruise Relief ($7) three to four times a day on the affected area or take it orally with Hyland’s Arnica Montana tablets ($8). 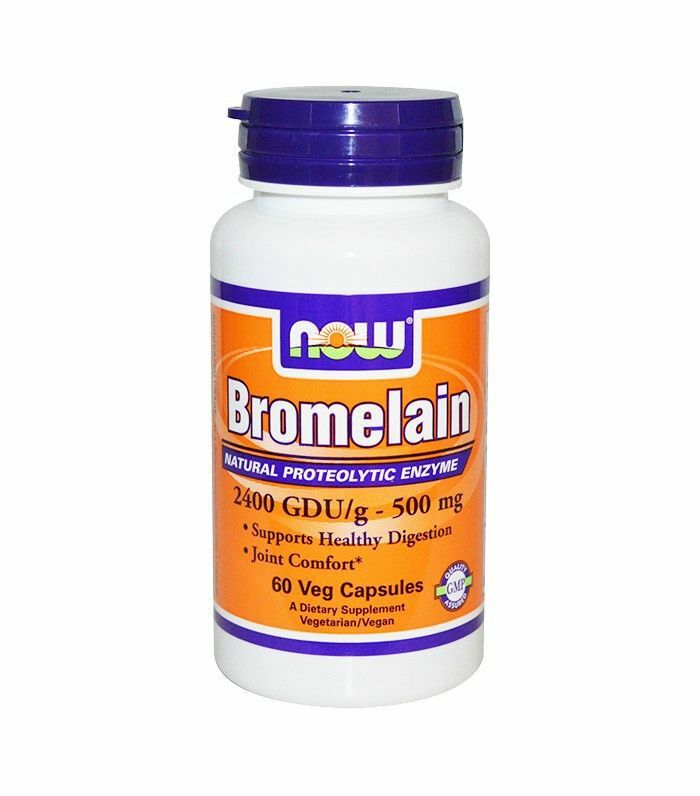 If you are not receiving at least 1000 mg of vitamin C daily, that may play into your bruising. Try consuming digestive capsules (Garden of Life Vitamin Code Vitamin C, $23) or foods high in vitamin C to help strengthen your body’s response to bruising and cut down the healing time. Also, vitamin K deficiency (which could lead to blood clotting) is another potential cause of easily bruised skin. 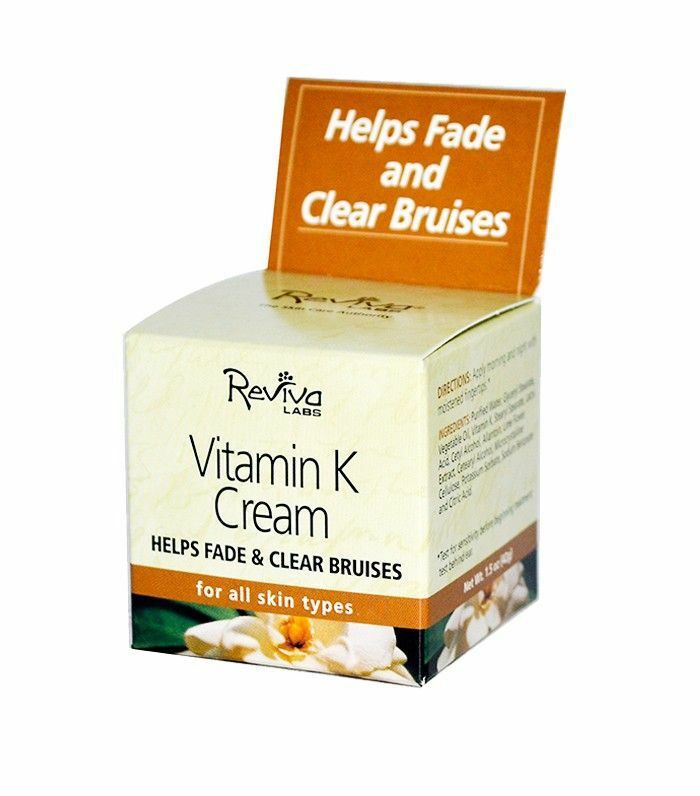 Rub a vitamin K–enriched cream to the bruise twice daily as this aids in breaking down blood and reabsorbing it. For long-term benefits, stock up on your green, leafy vegetables and fruits such as broccoli, kale, spinach, oranges, mangoes, and papayas for clear and bruise-free skin. Nothing eases everyday pains, strains, aches, and bruises like cold and heat. Cold applications numb the nerves and constrict the blood vessels, reducing swelling and tissue breakdown. Icing the bruise can help quell its swelling while quickening the curative process, where gentle heat opens blood vessels to improve blood supply to the area. 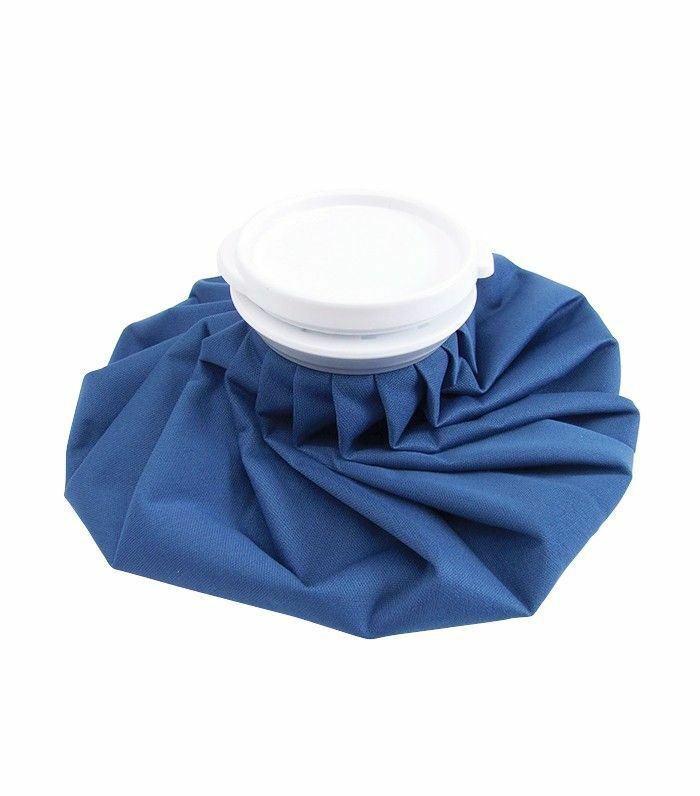 Try applying frozen vegetables or a bag of ice to the injury, and massage in slow, circular motions. Next, switch to a hot compress (like HealthSmart TheraBeads Microwavable Moist Heat Heating Pad, $23) and repeat the same process. Medical professionals recommend 10 to 15 minutes every hour for at least four hours for each temperature. Note: Wrap both cold and heat compresses in a towel to protect the skin from injury. 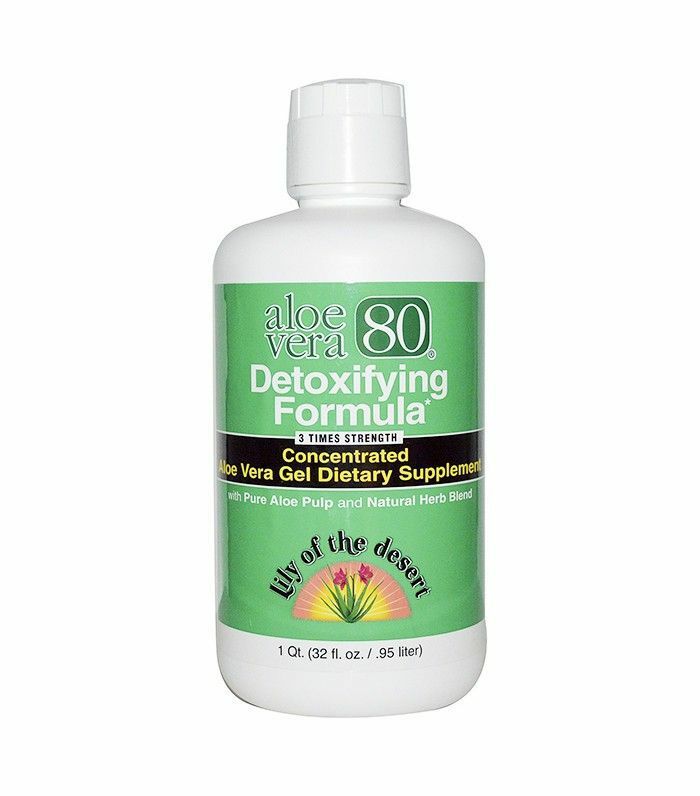 Aloe vera’s healing properties help quicken the recovery phase of broken blood vessels under the surface. When applied topically to the skin, the gel and moisture in aloe give bruises an environment where broken vessels can quickly and effectively repair themselves. For best results, break the leaves off an aloe plant and apply the fresh gel to the bruise, or invest in a gel or cream with a high concentration of 80% or more. Bromelain-rich pineapples and pineapple juice have powerful enzymes that digest protein, thereby flushing out fluids trapped in the tissue. With anti-inflammatory properties, it has been shown to reduce injury time altogether, so grab a straw and drink a big glass. However, if you’d rather take it in supplement form, you can consume 250 to 500 milligrams between meals daily to subsidize bruising (just consult a physician first). What are your bruise remedies? Let us know below!